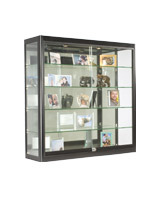 Display Cabinets Are Great Trophy Curio Cabinets! 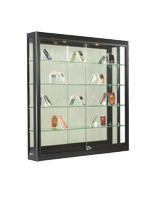 These Display Cabinets Function Well as Company Display Cases with Four Glass Shelves! These Display Cabinets Are Some of Hundreds Here! 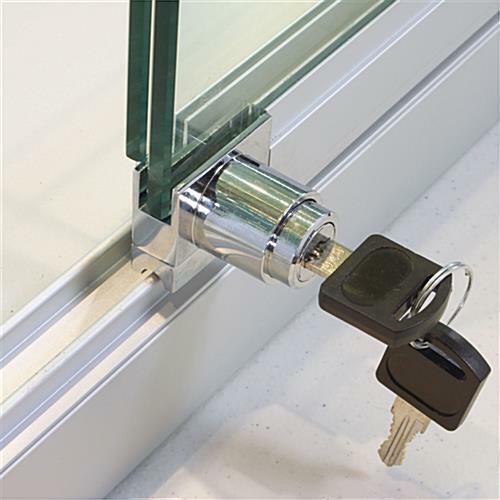 Locking doors provide added security! 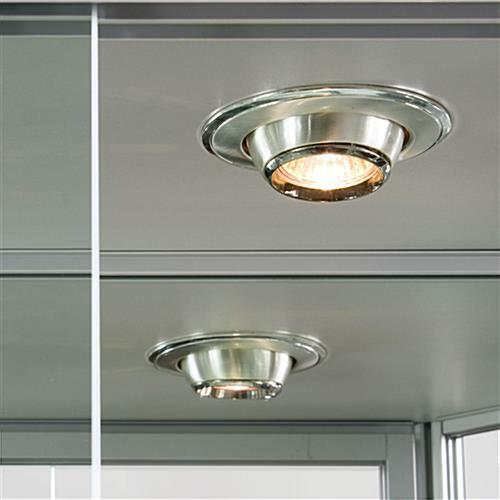 (2) 20-watt halogen top lights illuminate products from above! 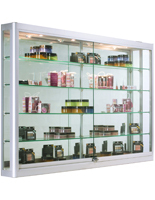 These wall mount shadow boxes, display cabinets incorporate a heavy-duty silver anodized aluminum and tempered glass construction to stand up to years of use in even the busiest retail environments. 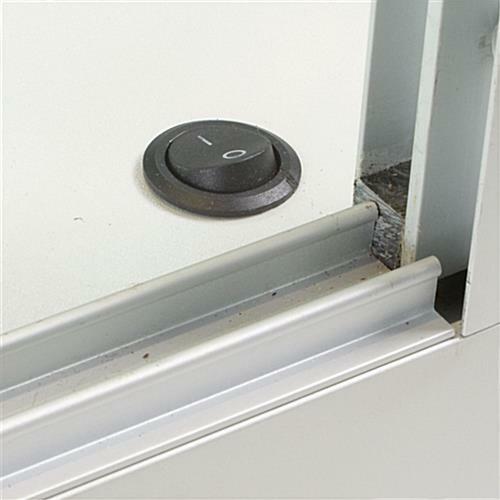 Shelves are totally adjustable to suit products of deviating heights and characteristic rubber padding. The display cabinets incorporates two halogen top lights to illuminate the cases' articles from above. 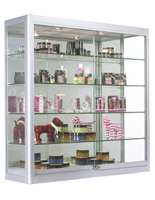 Display cabinets' lighting can effortlessly be adjusted with the convenient on/off switch located on the inner right-hand corner of the display cabinets. 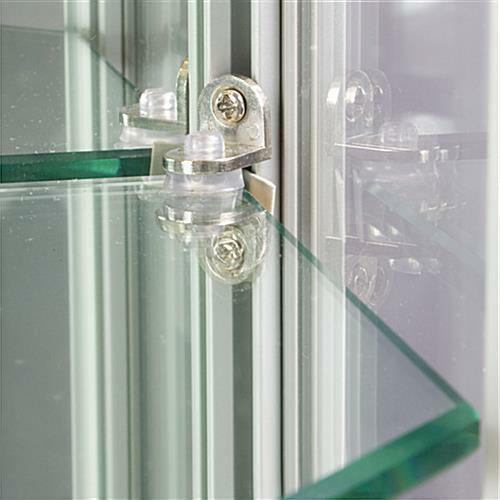 Display cabinets characteristic sliding, locking doors to preclude unwanted entrance to wall case articles. 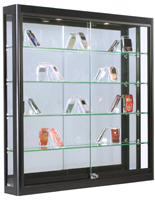 Display cabinets mount to your retail store walls with two z-bar mounts. 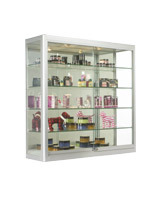 These display cabinets will supply your retail setting a centralized setting to store and display products for sale. 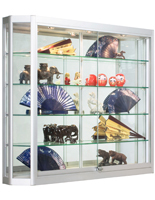 The display cabinets, also recognized wall mount shadow boxes, are ideal for small or teeming commercial environments, as they are engineered to hang on a wall to save floor area. 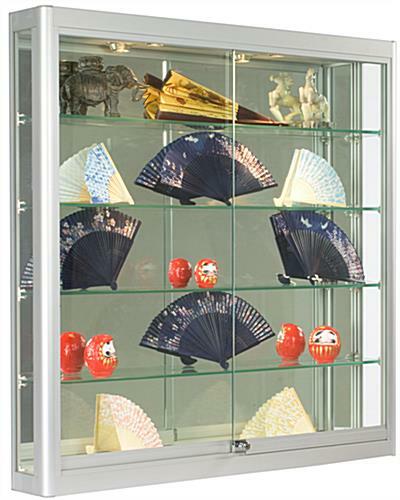 The display cabinets appearance attractive filled with shiny silver or gold. In truth, these cases are the ideal wall mount displays for a jewelry store. 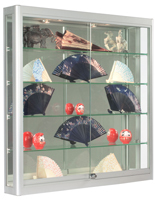 They could also be utilized to showcase sports memorabilia, electronics, fine china, collectibles and more! In lieu of hanging highly priced artwork on your store wall, hang one of these display cabinets and get real use out of these walls!